Interactive charts - are Dygraphs or Plotly alternatives for D3? The sheer number of D3 based charting tools gives a good indication of how much people love the D3’s functionality, and yet actually hate coding with D3 directly. Personally, I don’t hate coding with D3. Still, because I only use it sporadically, I’m constantly figuring out how things worked again (unsurprisingly, this involves a lot of code recycling and a lot of googling). So I wouldn’t be averse to an easier alternative for creating basic line graphs that don’t really require the advanced capabilities of D3. The other day, I posted an article on how newspapers use the word illegal, which included two rather dense spaghetti graphs (I’m using the term in the non-technical sense of the word). I added dropdowns to link labels to lines. Labour relations scholar Maarten Hermans suggested I take a look at Dygraphs instead. A few days later, I read at Flowing Data that the Plotly.js library is being open sourced. So let’s give them a try (note that I haven’t checked how they do on mobile devices). As far as I can tell, Dygraphs can only create line graphs. Below is a Dygraphs version of one of the spaghetti graphs from my article on the word illegal. I have no problem with their somewhat dull colour scheme, although I’d probably change that. Note that you can click-and-drag to zoom in on a part of the chart and double-click to zoom out again. This chart type isn’t really suitable for a graph with this many lines: when you hover your mouse over the graph, the labels obscure much of the graph. You could move the labels outside the graph area, but then you’d have to reserve quite a bit of space to accomodate them. So I also did a version of a simpler graph, from an article in which I traced the use of the word machine for bicycle. In this chart I made some modifications (line colour, position of the labels). I found that making these changes is relatively straightforward and well-documented. I’m not entirely happy yet with how the labels look, but other than that I think the graph looks pretty much OK.
Plotly has similar click-and-drag / double-click functionality to zoom in and out as Dygraphs (it works slightly different in that you can also zoom in vertically). I think the way they show the labels to the right of the chart is OK. If you click them, the line associated with the label disappears and reappears, so you can easily find the line associated with a label. It would be even better if clicking a label would make the associated line toggle between grey and coloured. I’m not happy with what happens when you hover your mouse over the graph. You get a menu to the top that offers functionality that strikes me as superfluous. And the labels that pop up are obviously a mess with a spaghetti graph like this one. That’s better, although I still haven’t figured out how to get the title to left-align (CSS doesn’t seem to work and here they only explain how to set font-family and size). More importantly, I still think there’s too much stuff popping up when you hover your mouse over the graph. I can see myself using Dygraphs on occasion if I need a simple line graph. As for Plotly, I don’t like all the clutter in their charts and while I’m sure you can get rid of that, I’m afraid that would defeat the purpose of making it easier to create graphs. Come to think of it, it seems that quite a few data visualisation libraries, and I’m not just thinking of Plotly here, haven’t really outgrown the «look at all the neat tricks I can do» phase. Until they move in the direction of Edward Tufte’s more minimalistic approach to data visualisation, I think I’ll rather keep struggling with D3. 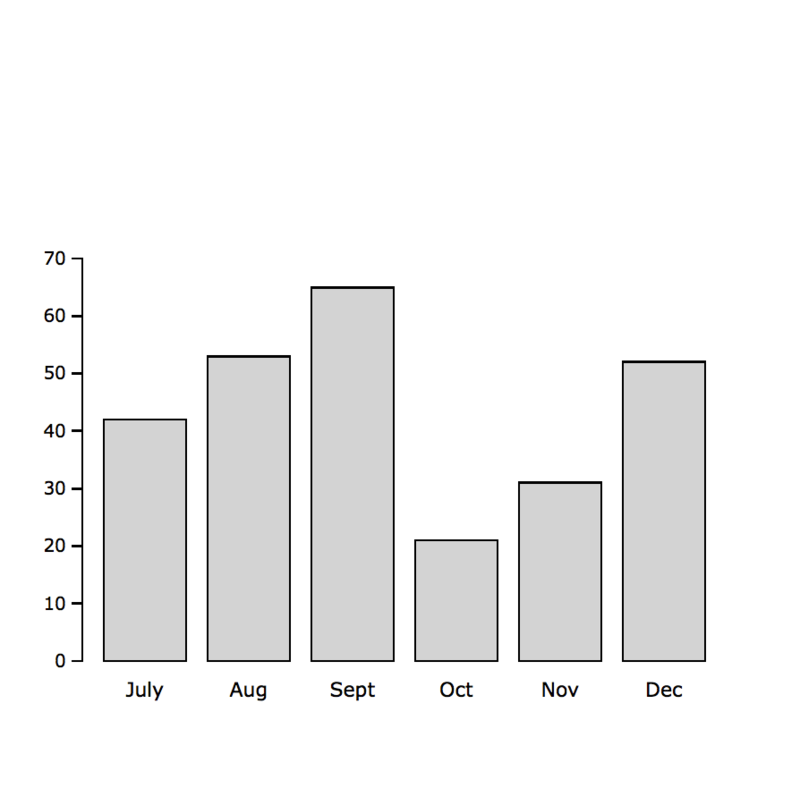 Read more about Interactive charts - are Dygraphs or Plotly alternatives for D3? Nieuwe term geleerd: dumbbell plot ofwel haltergrafiek. Een korte uitleg met voorbeelden is hier te vinden. Zonder de naam te weten had ik er zelf ook al eens een gemaakt, zie hieronder (hoort bij dit artikel). Overigens wordt er in de discussie op Twitter verwezen naar een grafiek over verschillen tussen de salarissen van mannen en vrouwen naar gelang de Amerikaanse universiteit waar ze ingeschreven zijn geweest (hier en hier; gebaseerd op NYT?). Ik vind dat eerlijk gezegd niet zo’n sterke grafiek; doordat de x-as bij $60.000 begint, zie je niet groot het relatieve verschil is (hoeveel procent verdienen mannen meer dan vrouwen). Wethouder Kasja Ollongren wil hoogopgeleide vluchtelingen naar Amsterdam lokken om het startup-klimaat in de stad te versterken. Het plan leidde tot enige ophef, maar voor degenen die de wethouder op Twitter volgen kan de link met startups ook weer niet helemaal als een verassing zijn gekomen. Ze twittert regelmatig over dit onderwerp; momenteel gaat één op de drie tweets van haar over startups.